You are here: Home / All the Ways You Can Reunion! / My Clemson / Lifelong Tigers / All the Ways You Can Reunion! All the Ways You Can Reunion! Click on photo to see album. First conceived as a Young Alumni Event, the Fall Band Party has morphed into a great occasion for alums of all ages to gather in Greenville and reconnect. Sponsored by the Clemson Young Alumni Council, IPTAY and the Alumni Association and presented by Endeavor, the event will be held this fall at the TD Stage at the Peace Center Amphitheater on Friday, October 27, the night before the Georgia Tech game. Catch up with friends, grab some snacks and dinner from local food truck vendors, and listen to some great music by DJ Sha and the Brooks Dixon Band. Admission is only $10; mark your calendar now and plan to join us this year. Scheduled for the Saturday of the spring game, Spring Fling provides student organizations, colleges and departments a wonderful opportunity to bring alumni back to campus to reconnect and reminisce. Check with your fraternity or sorority, club sport team, service organization or departmental/academic clubs about reserving a tent and gathering spot next spring. Email hoxner@clemson.edu for more information. 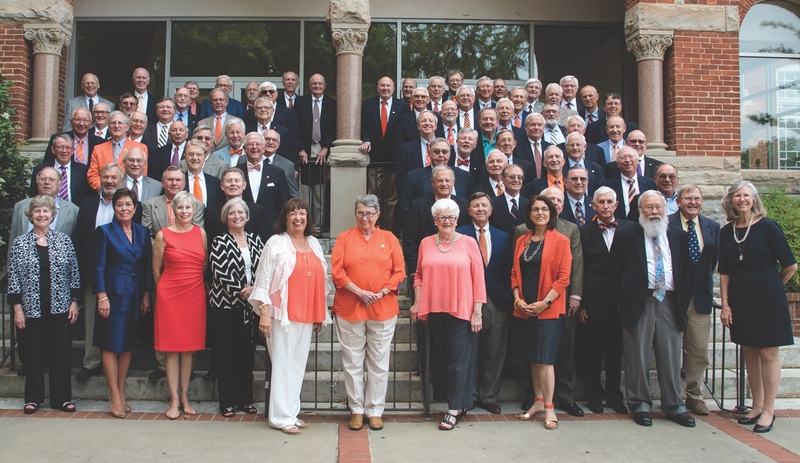 This annual event celebrates the 50th anniversary class and serves as the class reunion for all classes who have already been inducted to the Golden Tiger Society. A range of activities are planned to provide time to share memories and catch up on what’s currently happening on campus. The 2018 Golden Tiger Reunion will be held June 7-8 at the Madren Conference Center. For more information about all the ways you can reunion, go to clemson.edu/alumni.